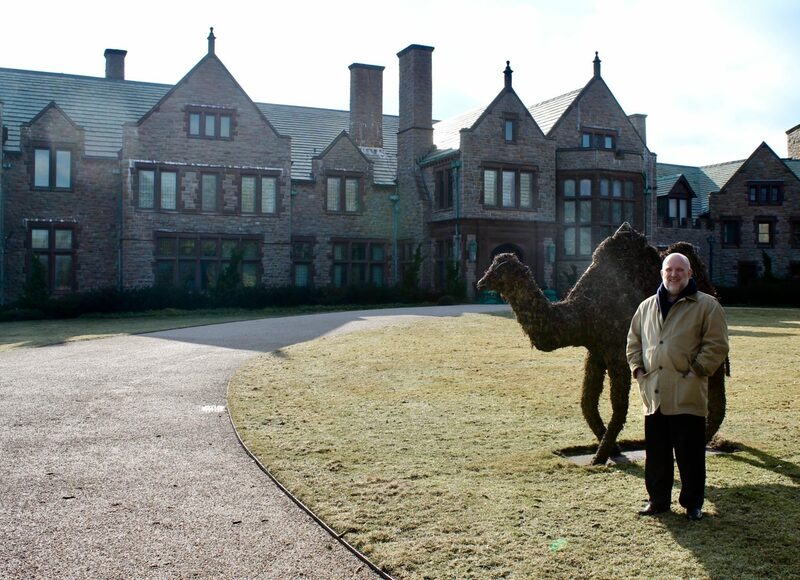 As a scholar of the late nineteenth and early twentieth centuries, but one who has—until recently—had little opportunity to spend time in New England, I have developed a particular, though less than fully informed, vision of the wealthy women and men who called Newport their summer home and what their so-called summer cottages must have looked like. In my mind’s eye, the people of the past who called Bellevue Avenue their summer home have always appeared to me as a fairly uniform lot of stern looking men in dark suits and elegantly attired, but severely corseted, women with elaborate hairdos. 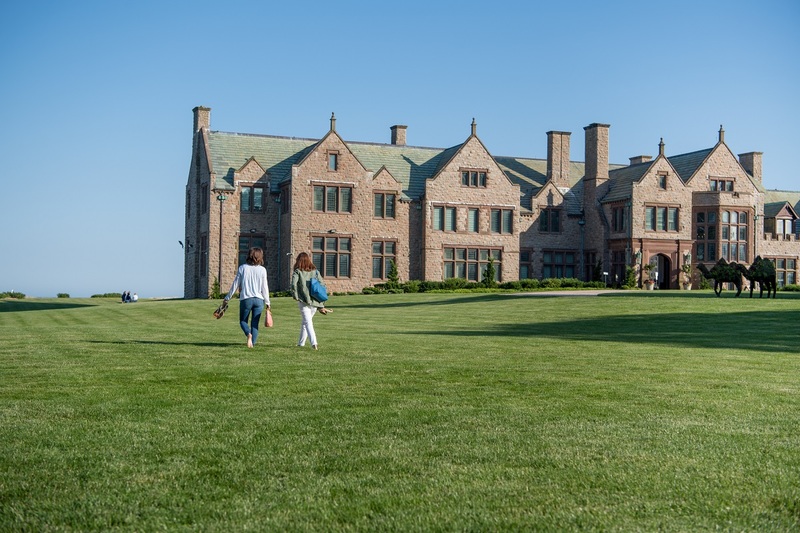 When I have allowed myself the time to imagine the Bellevue Avenue homes, I have conjured up images of first floors filled with an endless series of grand rooms, each with sweeping views of the Atlantic and geometrically perfect parquet floors. Upstairs I imagined bedrooms covered in heavy rugs and carpeting and windows covered and framed in even heavier drapery. In short, I always envisioned the Bellevue Avenue Historic District and its former residents as archetypes of the Gilded Age and the Progressive era. That all changed the first time I saw Doris Duke’s bedroom. If you’ve never seen the room before, please take a look at the images that accompany this blog. It is extraordinary. I first saw it in person during my final interview for the Director of Museums position at the NRF, and it quickly became my favorite room at Rough Pont (still is). Bright yellow walls (originally painted purple) serve as an exciting visual counterpoint to brilliant purple curtains. The room is filled with exquisite furniture upholstered in similarly vibrant purple fabrics and oftentimes faced with the most remarkably iridescent mother of pearl—a favorite decorative material of Doris Duke’s both here at Rough Point and in her Shangri La home in Hawaii. Despite the age of the pieces, most of which date to the nineteenth century, the visual impact of the room suggests a particular vision of modernity and fashion quite familiar to those of us born and raised in the second half of the twentieth-century, which is when Miss Duke decorated the room. Her choices of fabric and furniture created a visual aesthetic that linked the past and her present in surprising and visually stunning ways. Doris Duke lived at Rough Point off and on until about a year before her death in 1993. 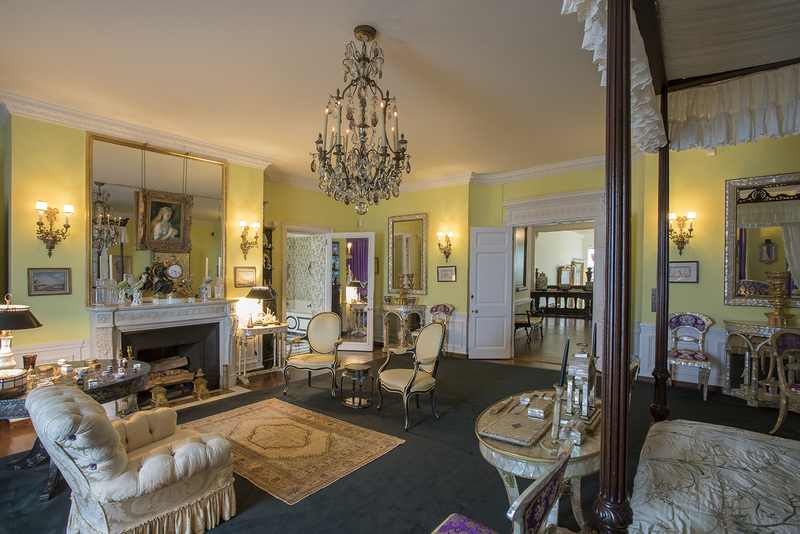 At the Newport Restoration Foundation, we are deeply committed to sharing with visitors a sense of how Miss Duke lived at Rough Point over the last few decades of her life. 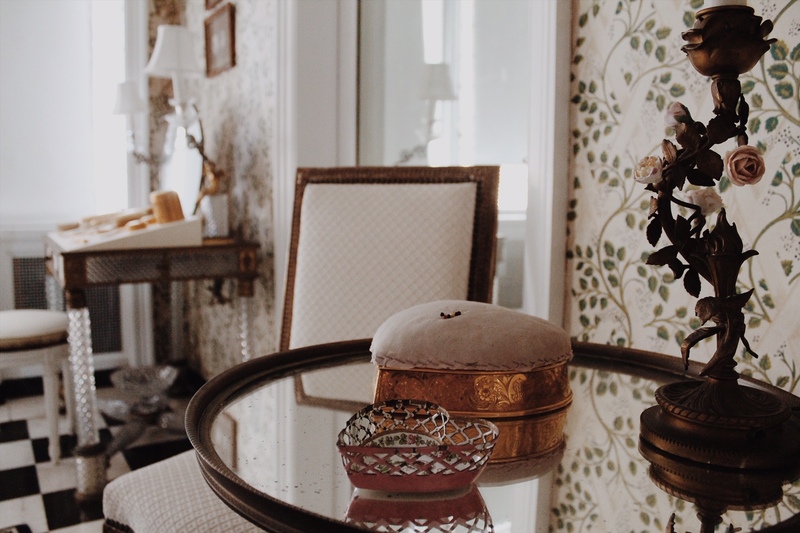 Consequently, our collections, as well as the ways in which we exhibit them, often juxtapose the design and collecting practices of the Gilded Age and Progressive era (her parents’ generation) with the lived experience of an entirely different age. 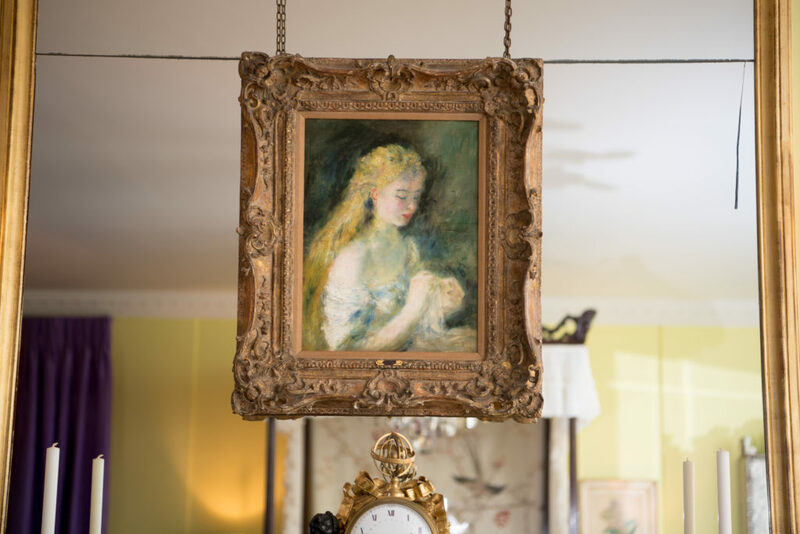 In some sense, Rough Point is the place where the 1880s and 90s meet the 1980s and 90s, and this mixing of centuries proves quite evident in Doris Duke’s Bedroom, which includes items like a delicate and deeply expressive Renoir painting of a young woman from 1875 and an AT&T Merlin telephone system (an iconic business phone system of the 1980s and a frequent feature in the rooms at Rough Point). Pierre-Auguste Renoir (French, 1841-1919), Jeune fille blonde cousant, 1875, 1999.496. As someone who spends most of his working days at Rough Point, I think I understand what that reviewer was trying to say. Despite its grandeur and extraordinary beauty, there’s a sense of hominess at Rough Point, a wonderful, comfortable feeling that comes from the pairing of extraordinary works of European art and furniture from a more distant past with the mundane artifacts of day to day life in the mid to late 20th century. That duality, if you will, is directly attributable to Miss Duke and the life that she lived at Rough Point. You can find examples of this throughout the house, from the kitchen, which displays a lively pairing of late 20th century appliances with amenities from earlier in the century (including a sizeable, porcelain-tiled humidor built around 1900 to accommodate “Buck” Duke’s considerable cigar habit); to the pine room, which boasts an 18th century mirror (purchased in a Paris flea market!) and a Sony reel to reel tape recorder from the second half of the 20th century; and of course to Miss Duke’s bedroom, my favorite room at Rough Point. 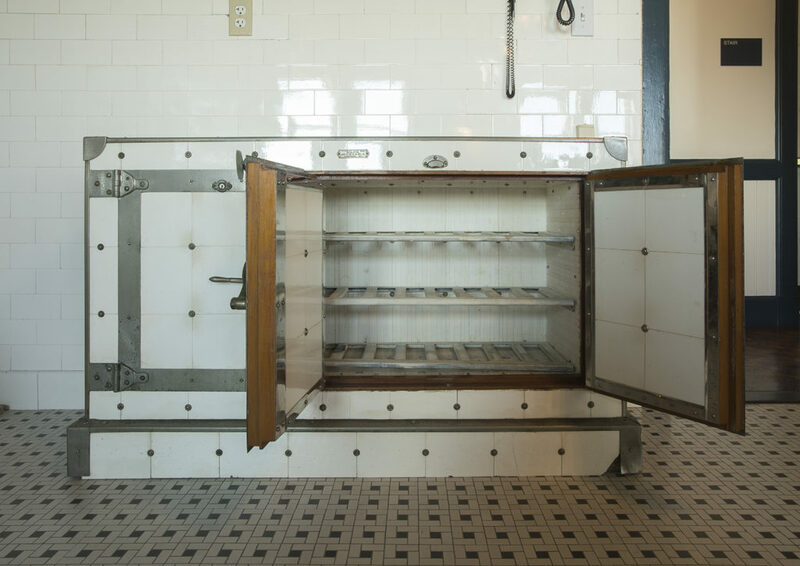 Humidor, Wilke Manufacturing Company, Anderson, Indiana (American, 1897-1905). United States, ca. 1900. Porcelain tiles, nickel, wood, P2018.1. I hope that you’ll find the time to visit Rough Point this season and see these rooms (and many others) for yourself. 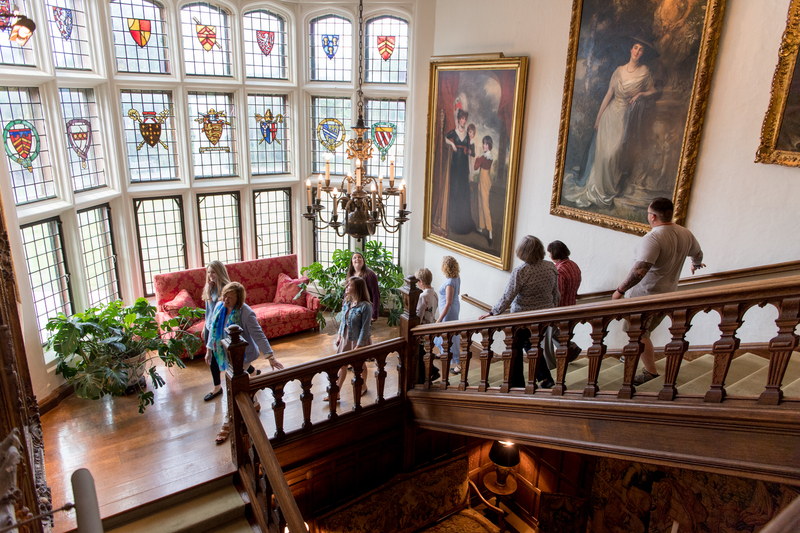 While I encourage everyone to view our website, which shares some images of each room on display, there really is no substitute for experiencing the home in person. Whether you visit the mansion physically or virtually, I encourage you to share your favorite room with us on social media by using the hashtag #myfavoriteroomatrp. I look forward to seeing your photographs and comments.